BPPV is the most common inner ear cause of vertigo, but remains a mystery to most people including healthcare providers. So I created this list to help you understand it better. 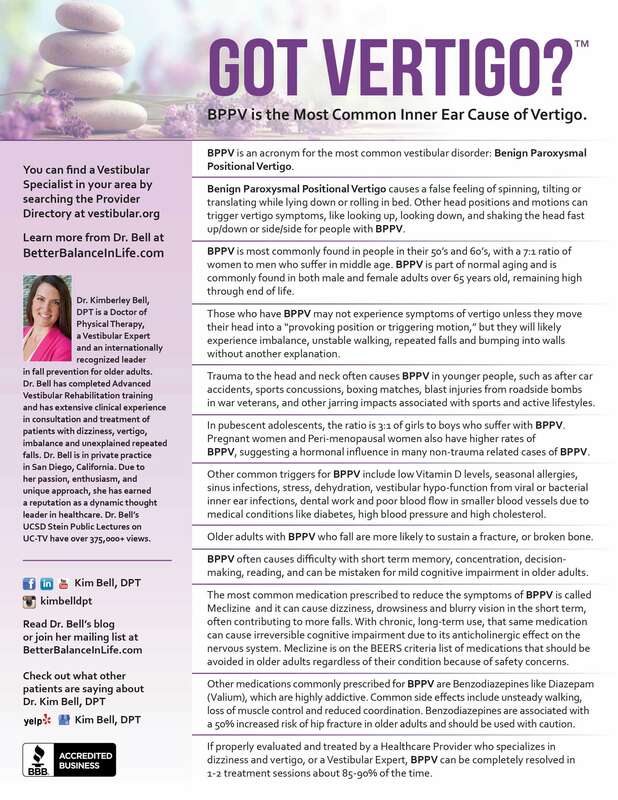 BPPV is an acronym for the most common vestibular disorder: Benign Paroxysmal Positional Vertigo. 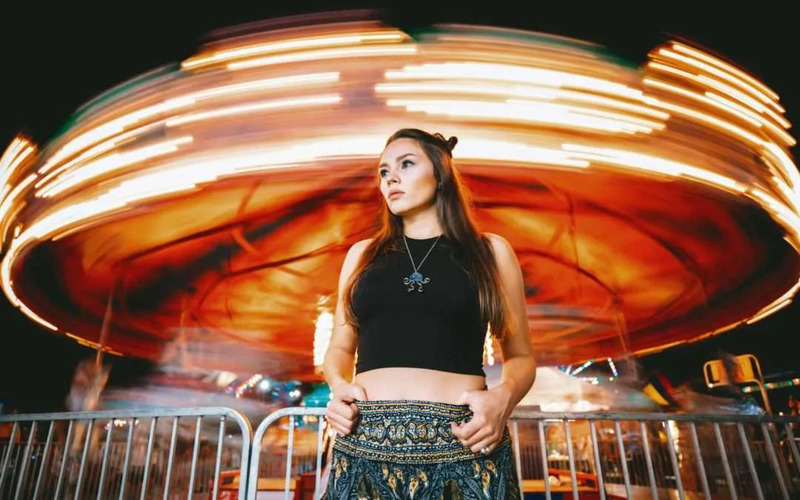 Benign Paroxysmal Positional Vertigo causes a false feeling of spinning, tilting or translating while lying down or rolling in bed. Other head positions and motions can trigger vertigo symptoms, like looking up, looking down, and shaking the head fast up/down or side/side for people with BPPV. It is most commonly found in people in their 50’s and 60’s, with a 7:1 ratio of women to men who suffer in middle age. BPPV is part of normal aging and is commonly found in both male and female adults over 65 years old, remaining high through end of life. 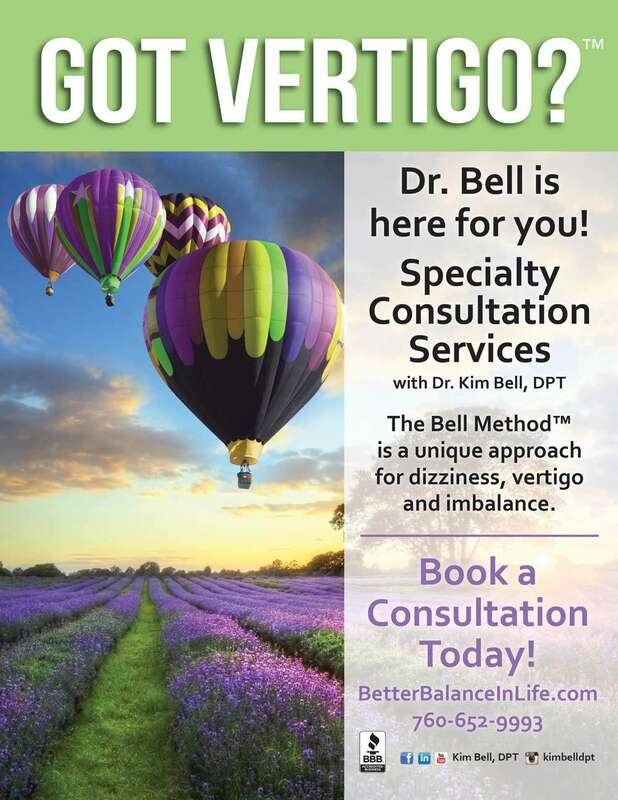 Those who have BPPV may not experience symptoms of vertigo unless they move their head into a “provoking position or triggering motion,” but they will likely experience imbalance, unstable walking, repeated falls and bumping into walls without another explanation. Trauma to the head and neck often causes it in younger people, such as after car accidents, sports concussions, boxing matches, blast injuries from roadside bombs in war veterans, and other jarring impacts associated with sports and active lifestyles. BPPV, suggesting a hormonal influence in many non-trauma related cases of BPPV. Other common triggers for it include low Vitamin D levels, seasonal allergies, sinus infections, stress, dehydration, vestibular hypo-function from viral or bacterial inner ear infections, dental work and poor blood flow in smaller blood vessels due to medical conditions like diabetes, high blood pressure and high cholesterol. Older adults with BPPV who fall are more likely to sustain a fracture, or broken bone. It often causes difficulty with short term memory, concentration, decision-making and reading. It can be mistaken for mild cognitive impairment in older adults. The most common medication prescribed to reduce the symptoms of BPPV is called Meclizine and it can cause dizziness, drowsiness and blurry vision in the short term, often contributing to more falls. With chronic, long-term use, that same medication can cause irreversible cognitive impairment due to its anticholinergic effect on the nervous system. Meclizine is on the BEERS criteria list of medications that should be avoided in older adults regardless of their condition because of safety concerns. Other medications commonly prescribed for treatment are Benzodiazepines like Diazepam (Valium), which are highly addictive. 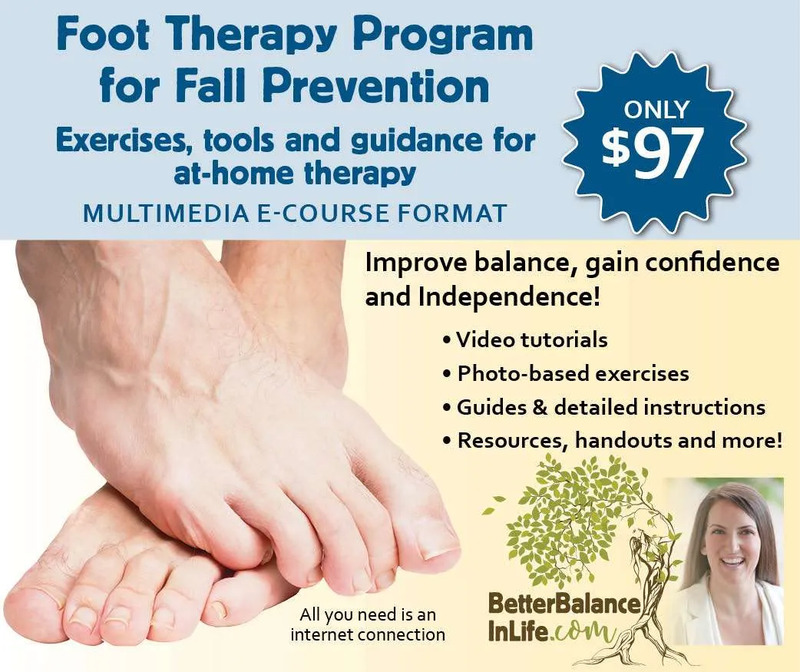 Common side effects include unsteady walking, loss of muscle control and reduced coordination. Benzodiazepines are associated with a 50% increased risk of hip fracture in older adults and should be used with caution. If properly evaluated and treated by a Healthcare Provider who specializes in dizziness and vertigo, or a Vestibular Expert, it can be completely resolved in 1-2 treatment sessions about 85-90% of the time.